Canada Day is the perfect day to support Canadian content – Canadian films, music, television programs, video games, books, and more. While it’s been another huge year for Canadian content on the international stage, there’s always more Canadian content deserving of our support. Canadians were represented at the Academy Awards this year in several categories including best actor (Ryan Gosling for La La Land) and best director (Denis Villeneuve for Arrival). As everything must have a 150 connection this year, the team from National Canadian Film Day provided us their “150 Canadian Films” list. Canadian Film Day is April 19, and with 1,844 events globally, National Canadian Film Day 150 considered itself the world’s largest film festival, celebrating the Canadian film. If you didn’t participate in 2017, like them on Facebook to be notified about 2018 events. Since last Canada Day, the world lost Leonard Cohen, and The Tragically Hip’s Man Machine Poem Tour started and ended. Each resulted in Canadians, and people around the world, hearing our Canadian stories and voices again and for the first time. Cohen’s You Want it Darker, The Hip’s Man Machine Poem, and Gord Downie’s Secret Path were among the 40 albums on the recently announced Polaris Music Prize long list. The Polaris Music Prize annually honours 40 Canadian albums in their long list, 10 of those albums in their short list, and awards a winner of this coveted prize. The list includes many recognizable names this year including Arkells, Carly Rae Jepsen, Drake, Feist, Mac DeMarco, Tanya Tagaq, The New Pornographers, The Weeknd… and there are many English, French and even Spanish-language (Lido Pimienta’s La Papessa) albums also worthy of your ears. For your Canada 150 fix, MyBandBiz created a list of 150 Canadian bands that they believe you probably haven’t heard of, but definitely, need to check out. The Margaret Atwood television adaptation The Handmaid’s Tale was filmed in Canada, stars Elisabeth Moss and Joseph Fiennes, is available on Bravo in Canada and Hulu in the U.S., and got renewed for a second season. Another Atwood production is Sarah Polley’s adaptation of Atwood’s Alias Grace. It premieres in September on CBC and then will have a home on Netflix. 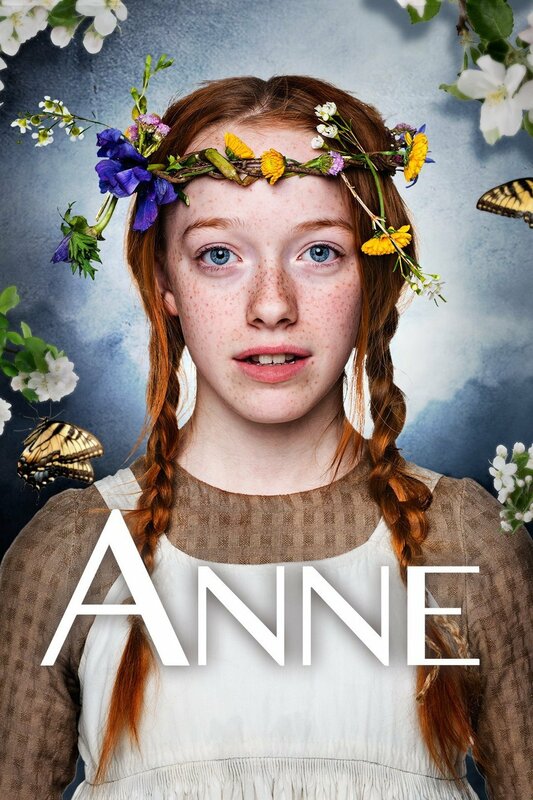 We’re also providing the world a big dose of Green Gables CanCon with the CBC / Netflix collaboration of Anne, or Anne with an E as Netflix calls it. While Orphan Black is now airing its fifth and final season, the show’s star, Canadian Tatiana Maslany won for her role at the most recent Primetime Emmy Awards. According to Numeris, in June, 2017, apart from hockey and news, among the most watched series by Canadians were Canadian-made Private Eyes on Global (starring Jason Priestly and Cindy Sampson) and Saving Hope on CTV (now in its fifth and final season). For a list of 150 Canadian TV shows… click the word Guide on your TV converter, if you still have one. Ubisoft and EA (Electronic Arts) have major operations in Canada, there are nine Canadian chapters of IGDA (International Game Developers Association), and video game productions have made significant contributions to our gross domestic product, as outlined an the Interactive Ontario report, prepared by Nordicity, entitled, Measuring Success: The Impact of Interactive Digital Media in Ontario Final Report. To meet the Canada 150 quota for this section, tell the kids in your family about Leaf Catchers, created by Relish Interactive among others, which supports the CBC Kids program Jaxon and Song’s Maple Mystery which premieres on Canada Day on CBC Kids. 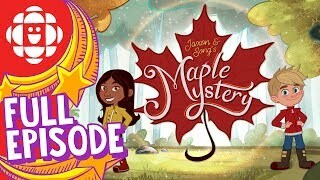 Just in time for Canada’s 150th birthday, Jaxon and Song have been invited to a mysterious party, but before they get there, they have a thing or two to learn about Canada. The Scotiabank Giller Prize award-winning Fifteen Dogs by André Alexis won Canada Reads 2017. Do Not Say We Have Nothing by Madeleine Thien won the most recent Scotiabank Giller Prize and Governor General’s Literary Award for Fiction. However, there are many, many Canadian authors, and to support them, visit your local literary festivals and bring some cash. There’s a list of 150 Canadian-authored English language bestsellers from the last 10 years for your review, and nearly a quarter of them were written by Robert Munsch. Why are you still reading? Watch and share your favourite CanCon, and create a work we can all celebrate by Canada Day 2018. For Canada Day 2016’s Canadian content suggestions, click here. For Canada Day 2015’s Canadian content suggestions, click here.